SKOWHEGAN – When Somerset County Soil & Water Conservation District decided to update its logo, it had a good sense of where to look. Knowing the vibrancy of the region’s arts community, the District worked with Mary Haley at Main Street Skowhegan and Wesserunsett Arts Council to craft a call for submissions for a logo design contest. The contest yielded a host of submissions from all around the region. In April, a design submitted by Crista Lavenson of Belgrade was selected as the winner. Lavenson is Marketing & Communications Manager at the Boys & Girls Clubs and YMCA of Greater Waterville at the Alfond Youth Center. The versatile logo will be used across all District publications and materials, as well as online and on hats and t-shirts. The new logo and information about the District’s programs and services may be found online at www.SomersetSWCD.org and on the District’s Facebook page. For more information phone 207-474-8323 x3 or email somersetswcd.outreach@gmail.com . SKOWHEGAN – It is almost time for grassland birds to return to Somerset County, and a collaborative project at Somerset County Soil & Water Conservation District is gearing up for a third season of fledgling success stories. The District’s Ag Allies project works with landowners across the state to include grassland bird nesting opportunities in the management of open lands. And thanks to a recent collaboration with Jim Miller of Miller Signs & Graphics of Newport, the project has a new logo. Featuring a bobolink, an iconic sight in hayfields each spring, the logo was the winning entry in the District’s recent logo design contest. The logo will be used on all project materials, including a new sign recognizing participating landowners. “The new Ag Allies logo helps to provide recognition and unity to farmers and landowners who are working with the program to integrate nesting habitat with forage and recreational needs of their grasslands,” says Laura Suomi-Lecker, Somerset County SWCD technical coordinator. Bobolinks, meadowlarks, and sparrow species - which are suffering rapid population declines - require undisturbed hayfields for nesting. Hay harvesting occurs earlier and more frequently in recent decades, often coinciding with the nesting period. Fields not used for forage production are often cut during nesting timeframe, too. Thus, the human impact on grassland bird breeding success is significant and results in widespread nesting failure across much of Maine’s habitat each year. Through Ag Allies, Suomi-Lecker provides field managers and landowners across the state the technical support needed to make best-fit management changes that give grassland birds the opportunity for nesting success. In 2018, more than 450 acres were enrolled in the program, including lands managed by dairy, beef, horse and sheep farmers, land trusts, and non-agricultural landowners. The project received several national grants for this year’s work, including The Cornell Lab - Land Trust Bird Conservation Initiative, Blake-Nuttall Fund of the Nuttall Ornithological Club, and the William P. Wharton Trust. To learn more about the project and how to participate, contact the Somerset SWCD at 207-474-8323 x3, email info@somersetswcd.org or visit www.SomersetSWCD.org. We are excited to announce that the deadline for submissions has been extended 2 weeks! Please submit your designs no later than Friday, March 15. The Somerset County Soil & Water Conservation District is pleased to announce we are looking for not one but two new logos in 2019! Recognizing the strong creative community of Somerset County, we seek submissions from the public for: a new logo for the organization, and for the first-ever logo for our Ag Allies Grassland Bird Project. 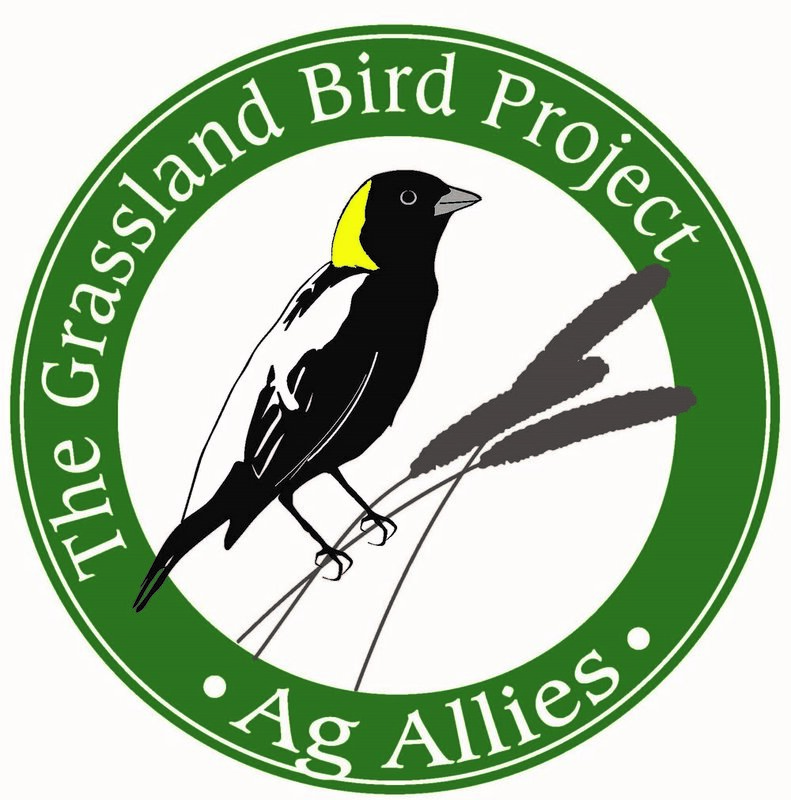 The winning Ag Allies logo will be used on publications, digital media and signage that relate to our grassland bird project launched in 2016. Visit the Ag Allies Project page on our Web site to learn more about this growing program and the farmers and grassland birds it supports. The new organization logo will be used on our digital media, letterhead, publications, and staff clothing and should therefore represent Somerset SWCD’s work to increase good stewardship of our natural resources. More information about our work may be found on our Web site and Facebook page. The Somerset County SWCD will award a $250 honorarium to the creator of each winning logo in appreciation for the contribution to our work and community. Full contest details may be downloaded here. There is no limit to the number of entries you may submit, but entries must be submitted no later than March 15, 2019. The Somerset SWCD staff and Board of Supervisors will select the winning entries. For more information, contact Jennifer at 207-679-7306 or by email at somersetswcd.outreach@gmail.com. Our technical director Laura Suomi-Lecker enjoys sharing her love of birds as a volunteer with Avian Haven. A recent grammar school visit netted the most wonderful thank you cards. Hats off to the staff and students of Thomaston Elementary! On Dec. 14 Laura travels to Hampden Academy to share her Unleaded Loons presentation with the environmental science class, which is studying a water quality unit to finish the year. SKOWHEGAN – The Somerset County Soil & Water Conservation District is conducting a brief survey of Somerset County residents and landowners to assist in the development of programs and services. Everyone who completes the survey will have the opportunity to enter a drawing for a $100 gift card at Campbell’s Agway-True Value. The survey will take just five (5) to ten (10) minutes to complete but will inform District programs and services for the coming years. All residents and landowners of Somerset County are encouraged to complete the brief online survey, located at https://www.surveymonkey.com/r/Somerset2018. To request a paper copy, visit the Somerset County SWCD at 70 East Madison Rd. in Skowhegan, email somersetswcd.outreach@gmail.com or call 207-679-7306. Education and Outreach are at the core of the District’s mission. Through these avenues the District provides farmers, woodland owners and residents with information and techniques that protect the soil, water and natural resources of Somerset County. Currently the District provides a host of educational workshops and outreach events that cover topics ranging from forestry management, pollinator habitat planning, wildlife habitat, soil health, and invasive plant/forest pest species. Nearly all these efforts have partners that may include state agencies, federal agencies, nonprofits, Maine Association of Conservation Districts (MACD) and other Districts. Annually the District endeavors to provide diverse and numerous activities desired by the different groups that it serves. Programs that are successful are repeated in following years, while those that are not, are reworked or replaced by new programs. Survey participants will be assisting the District to better focus programs and services for Somerset County residents. For more information about current programs and services, visit the Somerset County SWCD on Facebook, online at www.somersetswcd.org or call 207-474-8323. SKOWHEGAN, ME – A winged ally of Maine farmers is the focus of a new partnership between the Somerset County Soil & Water Conservation District and the Damariscotta River Association.